Cuba has to be one of the most fascinating, confusing, hauntingly beautiful places I’ve ever been. I returned on Sunday night from my second Federation Mission to Cuba, marveling at all that has changed and all that has not. I first went to Cuba six years ago, during a Women’s Philanthropy Mission to Cuba. As we entered Havana from the airport on that trip, we saw plenty of billboards with propaganda slogans promoting the revolution, celebrating an anniversary of the return of Elian Gonzalez, and so on. We also saw empty, tattered sports stadiums, farmers plowing fields with teams of oxen, and the famous 1950s American cars (albeit many now operating on Russian engines). This time there were very few billboards but, otherwise, Cuba seemed very similar to six years ago. The absence of the propaganda billboards was the first sign (literally!) that things in Cuba might be different in 2016. One big difference from the 2010 mission was that it was co-ed – it was a mix of women and men from Greater MetroWest, many of them on their first Federation mission, including my husband David. 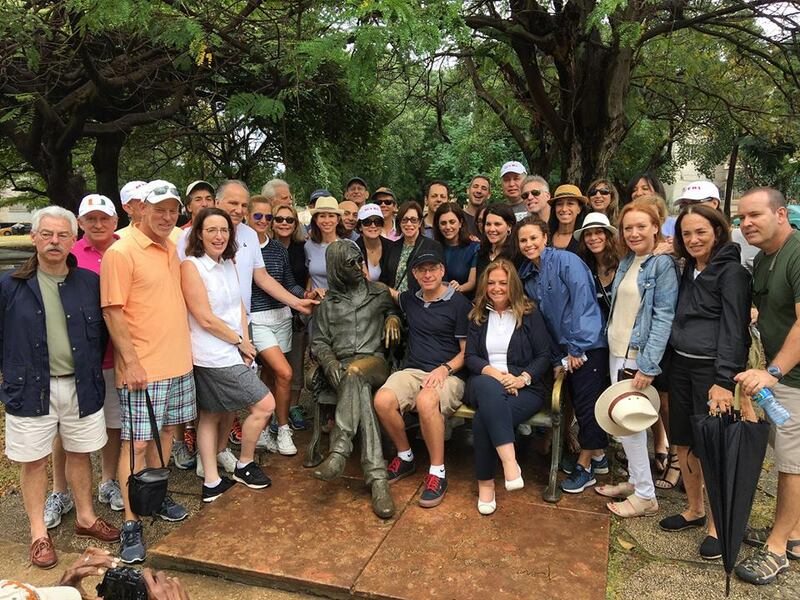 We were also the largest Federation mission to Cuba that our guide and the American Jewish Joint Distribution Committee (JDC) had ever seen (there were 40 of us). We were the first Federation mission to leave out of the new American Airlines gates at the Miami airport – and the first to land at the main terminal at the Jose Marti’ Airport in Havana. In 2010, we’d taken a charter flight, filled with Cuban-Americans who hadn’t seen their families in 50 years or more. This time I felt as if I was heading off to vacation on any other Caribbean island. Here’s the thing – I wasn’t heading off to a vacation, or even a trip. Yes, we had a great time, traveling with friends I’ve known a long time, and with new friends that I know will be a part of my life into the future, because we share the same Jewish values. Cuba, however, is not someplace you can simply land and have a good time. The faded glory of Havana and the subsistence level at which many of the people live there is too obvious for this simply to be a vacation destination. The contrasts between my previous visit and what we saw in Cuba this time were sometimes subtle and sometimes very clear. With the death of Fidel Castro shortly before our mission departed, much attention from national and international media has been focused on Cuba and her future. What we saw first hand was that Cuba is standing – somewhat precariously – with a foot in two places. One place is in the past – a revolution stopped in aspic, leaving its people with barely enough to get by, awful housing, subject to human rights abuses, and little contact with the outside world. That’s what we saw in 2010, and in many ways it hasn’t changed. The aging Russian Lanzas on the road, alongside the more famous American cars from the ‘50s, the derelict housing where you can’t believe people live, the lack of medicine and food; all of that was still present in 2016. The other place is in a very tentative future. 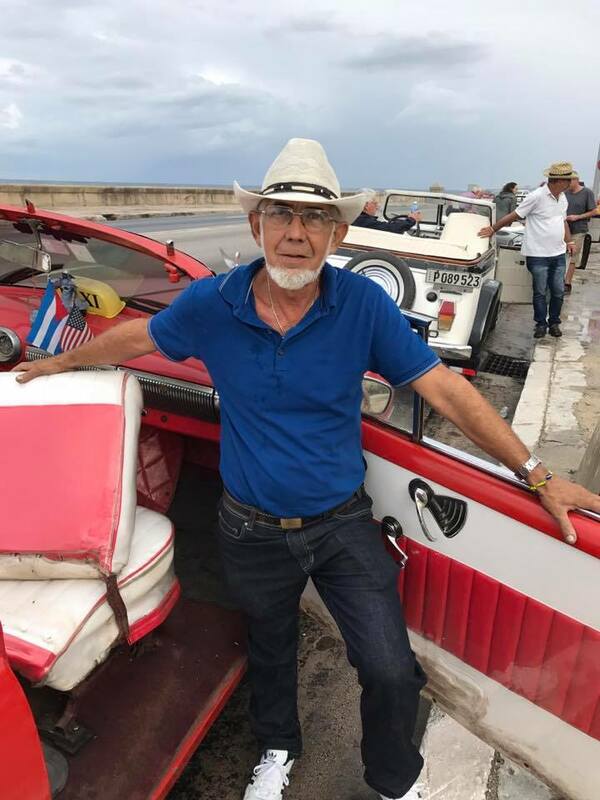 With the relaxation by Raul Castro of rules regarding some private businesses and the re-establishment of diplomatic relations with the United States, the increase in tourism is striking. Huge cruise ships ply the harbor and many more busloads of tourists show up in Revolution Plaza. There are many more paladares, the restaurants in private homes, and I noticed what seemed to be many more shops on the first floor of homes, selling ice cream and sweets. Cubans who work in the tourism sector are now making much more money than the rest of the country. A waiter in one of the paladares can earn as much in a week, and the driver of one of the ‘50s cars can make in one ride, what a medical doctor can earn in a month. The entrepreneurial spirit is rising, and the level of inequality is so great that you have to believe a larger change is coming. There is so much uncertainty, however, about what will happen with the next U.S. administration, and what will happen after Raul Castro leaves office, currently slated for 2018, that Cubans remain fearful that this change is only temporary. One of the most hopeful changes we saw was in the growing freedom of artists, both in selling their work and in the nature of the work itself. The power of art to change minds and change society endures, even in Cuba. We saw some amazing examples of this all around Havana, art that is accessible to all. Although Cuba is engrossing as a story of contrasts, we had an even greater purpose than understanding the current status of relationship between Cuba and the larger world. 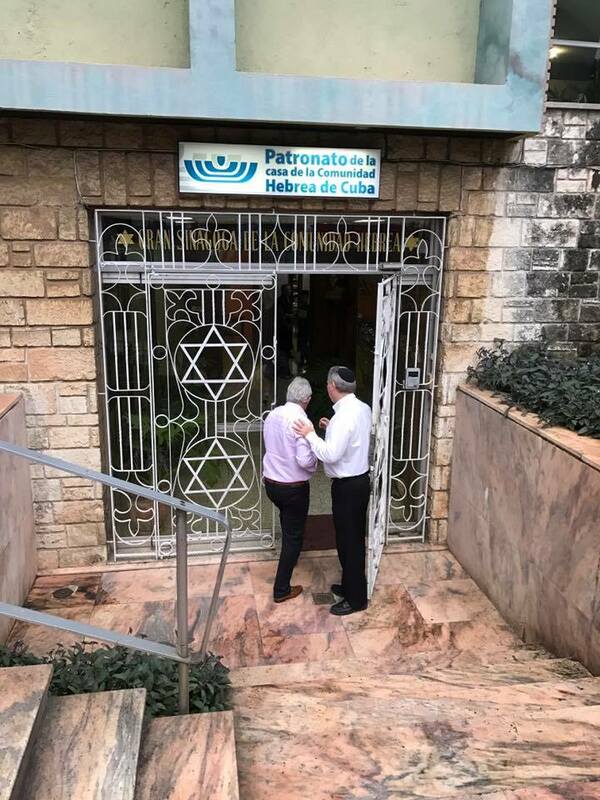 We were there to connect with the Jewish community of Cuba and to let them know that they are not alone. Prior to the 1959 Cuban revolution, there were 15,000 Jews in Cuba, mostly in Havana. After 90 percent of the Jewish community left in the wake of the revolution, Judaism on the island was kept alive but a handful of dedicated people. 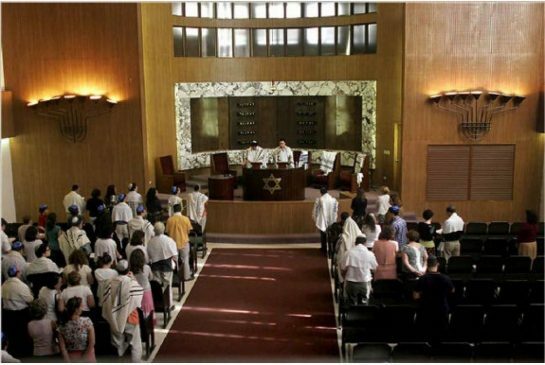 The beautiful synagogues (many of them built in the late ‘50s, just like many of our Greater MetroWest synagogues) fell into disrepair, and the Jewish community was on the verge of disappearing. After the collapse of the Soviet Union, which resulted in Cuba’s loss of economic support, Fidel Castro changed the Cuban constitution. In 1992, Cuba went from being an “atheist” country to “non-religious;” this permitted humanitarian and religious groups to come into the country. This changed everything. 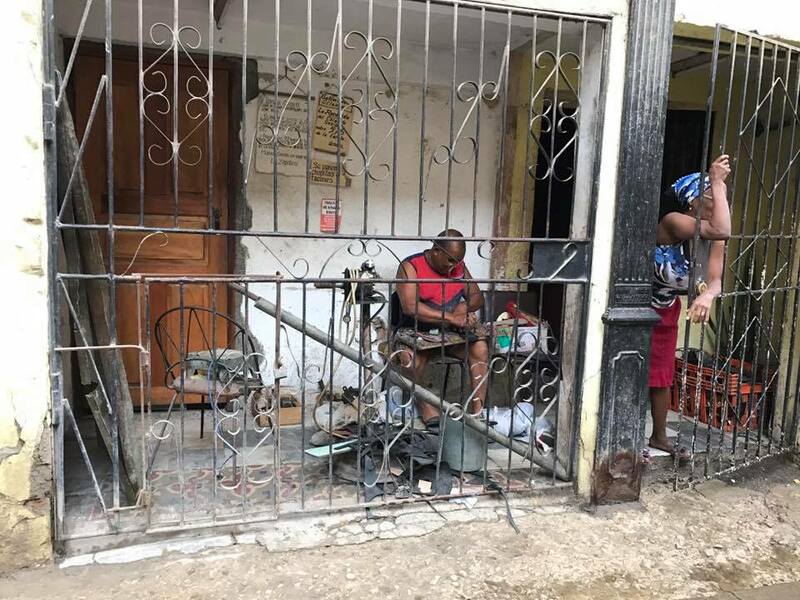 The heads of the Cuban Jewish community wrote to the JDC and asked for help. In the last 25 years, the JDC, supported by our Federation annual campaign dollars, has revived the Jewish community, to the point where they now have services, youth groups, two Israeli dance troupes, and other programs. Currently, there are 1,500 Jews in Cuba, the large majority in Havana and a few hundred in outlying communities. They face enormous privations in their personal lives, like most Cubans – rationed food, inability to travel freely, lack of material possessions. They approach Jewish life, however, with typical Cuban joy and openness. The youth groups and dance troupes form a core of social activities and community feeling. They are proud of how far they have come in such a short time in owning their Judaism. A Friday night Shabbat service at the Patronato feels very familiar. Services are now led by members of the community who are in their twenties and teens, rather than by a rotating couple that the JDC used to provide. 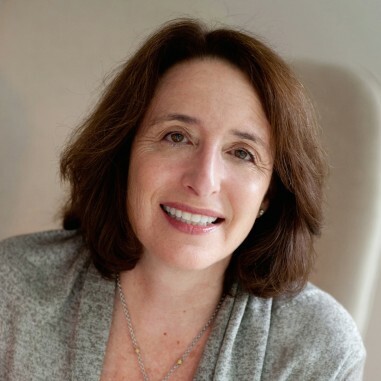 It gives a sense of a future for this Jewish community, and a sense of connection to our community, because we helped make it possible. We also brought tangible aid with us. 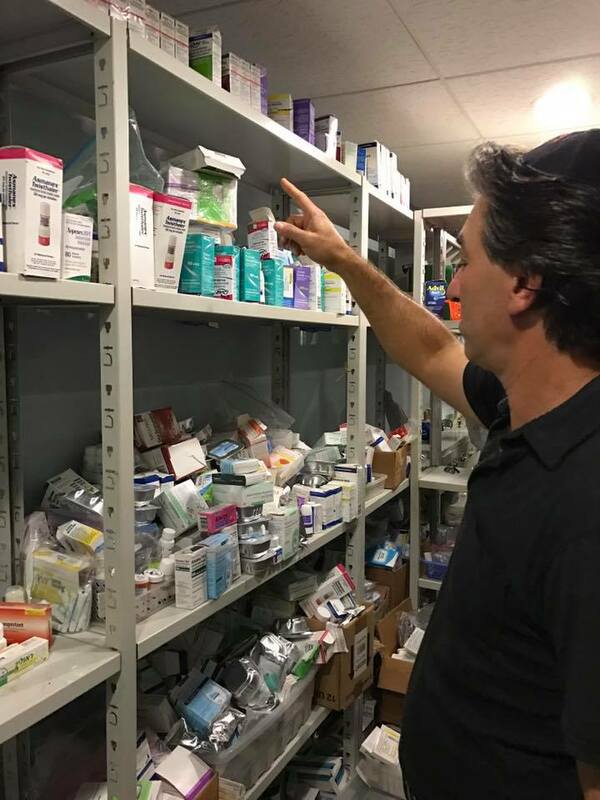 We brought with us a huge supply of much-needed medical supplies for the pharmacy that operates out of the Patronato, the main synagogue in Havana that also acts as a community center. In comparison to what we saw in the state-run pharmacy, the shelves were overflowing because of our group. And because of our allocation to the JDC the community sits down to a chicken dinner every Friday night – one of the few times in a month that they get animal protein. This isn’t charity. It’s an act of caring from one family member to another. It so easily could have been my story, if my great-grandparents had waited longer to leave Russia or Hungary. It sounds strange to say it, after telling you how hard life still is in Cuba, but I hated to leave. It is a physically beautiful place, and its possibilities will haunt me until they are fulfilled, for both the Jewish community and the larger Cuban community. As I was waiting in line at immigration, prior to boarding the plane home, I saw unfold before me an eternal story, one that speaks to the Jewish journey and to the journey of all those who leave a place behind for a better life, without knowing if they will ever see their families again. A young couple with a baby was saying goodbye to their mother and grandmother, who covered them with kisses and hugs. They could barely tear themselves away from each other, and as they all started to cry, so did I. All I could think of was what it must have been like for my great-grandparents to leave all that they knew to come to this country, and that it must have been a very similar scene. We lead very blessed lives here in this country; we are so blessed to be able to help our family wherever they are. May your Hanukkah candles of freedom burn bright and best wishes for 2017.